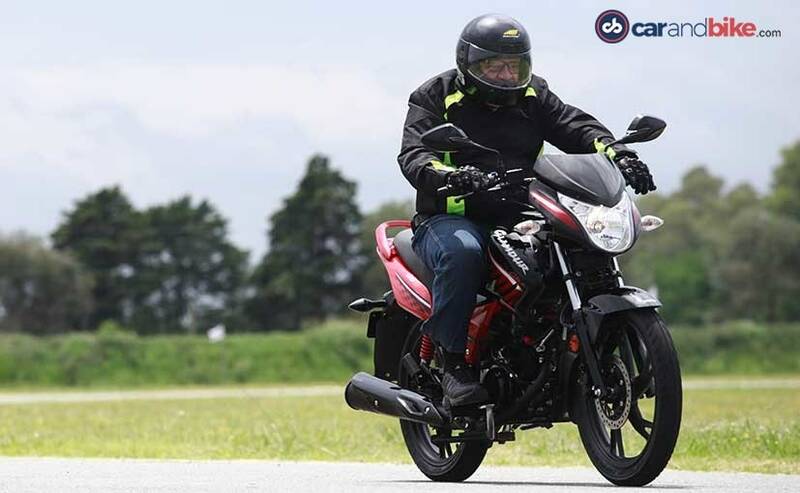 The Glamour becomes Hero MotoCorp's third bike to be developed at the CIT in Jaipur. And it proves once more that there is life for Hero after Honda. 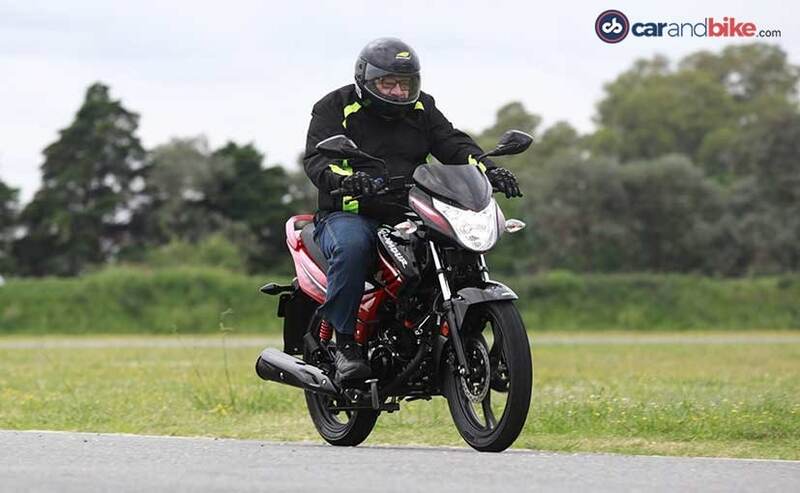 The new Splendour and Achiever models have re-ignited the spark in the company and Hero MotoCorp hopes that the new Glamour will do the trick in the 125cc segment. The company showcased its ambitions for a new market - Argentina - with four models to kick-start their South American dreams. DESIGN & STYLE - Glam enough? Who said commuters have to be dreary-looking? No such bothers here only because there is a slight increase in the proportions with enough sculpted lines and decals across the body to give it a classy appeal. What is important however is how comfortable the bike is from the rider's perspective and here the new Glamour 125 ticks many boxes. Built after taking the average Indian into consideration, it is impressive to see even taller riders like Hero's Markus Branusperger himself, relatively relaxed while perched atop the Glamour. The new headlamp design (incorporates the Automatic Headlamp On feature) is matched with a new LED tail lamp cluster as well and the instrument panel seems to have enough information to satiate the digital era fanatics. The large analog speedo is housed in a stylish console and there is also the i3S indicator, a digital fuel gauge, trip and odometer. One might get caught up with the new motor that powers the Glamour but upon reconsideration the new single downtube frame is responsible for much of the smiles that emerge on every ride. This frame apart from being lighter has been designed keeping the new all-Hero engine in mind and together with the mount points, the revised wheelbase and also the way the suspension geometry plus the componentry have been configured makes for a fine base to begin with. Whether riding solo or with a pillion, Glamour doesn't buckle under stress. With that being said, the suspension components are pretty well sorted out with one clear motive - not to make the bike monotonous in daily commute. The steering rake and the weight distribution make for a very good base for a comfortable yet invigorating ride experience and thanks to the fitment of a front disc brake and tubeless MRF rubber, there is good stability and control thrown into the mix in a most subtle manner. ENGINE & TRANSMISSION - This is the true Hero! The single cylinder motor is from the new family of engines that Hero has invested in. We saw the first manifestation of it in the Splendor iSmart 110 released in mid-2016 but here is the real deal and this motor has the TOD (Torque On Demand) aspect in even greater measure with a power delivery that is sublime for this class of bike. 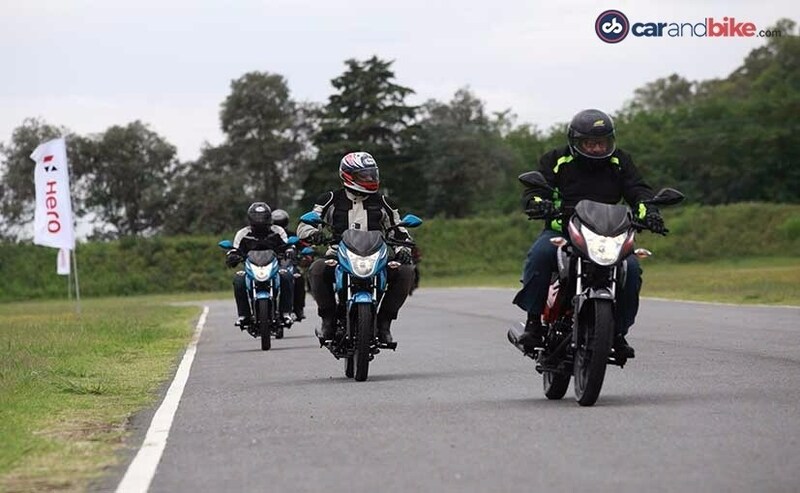 Like the Splendor 110 iSmart, the Glamour 125 also packs in Hero's i3S start-stop tech and unlike the smaller engined Splendor, this one-eighth litre econo-commuter would be offered with either a carburetted engine or one which sports fuel injection, both engines being BS IV compliant. In the case of the former, it makes use of the most modern CV carb technology while the EFI tech has been brilliantly configured and it shows in the fuelling precision which is what this class of bike demands. Thanks to the TOD which is essentially brought about by a very precise and wide torque spread throughout the rev range and spot-on gearing, the bike never seems to run out of steam. 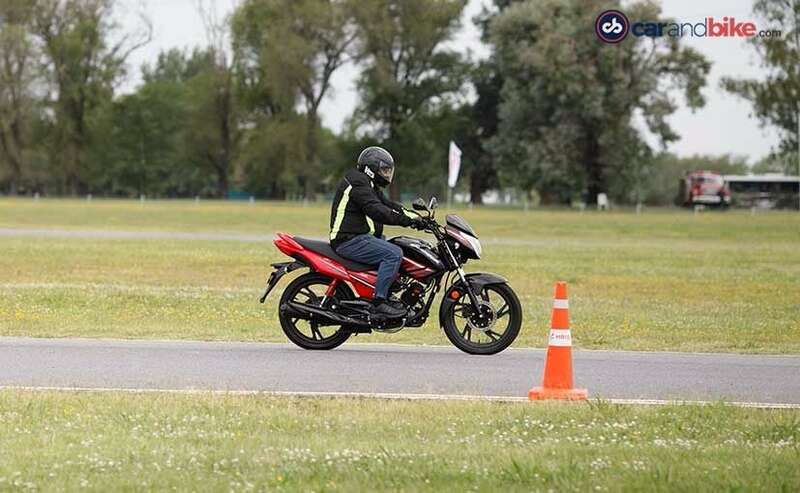 It is impressive how the bike is able to chug along with an ultra-smooth power delivery. The only glitch in this modern package would have to be the all-up shift pattern as it has no place in this day and age, especially with the entire world adopting the universal one-down and four-five up shift pattern. Along with the taut chassis and its fine manners one has to factor in the tubeless tyres and the grip they afford as these only enhance the chassis' strong points. 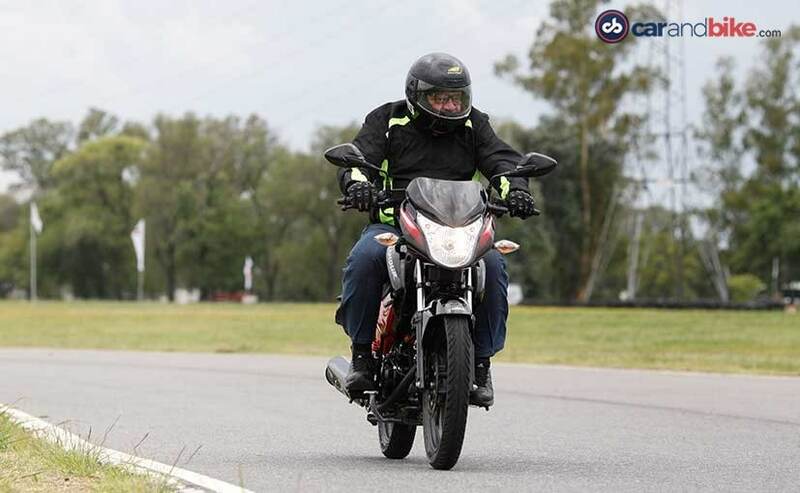 The brakes are good for this class of motorcycle, progressive and ample without being grabby which is what this class demands again and also has to be so to not impact fuel consumption. 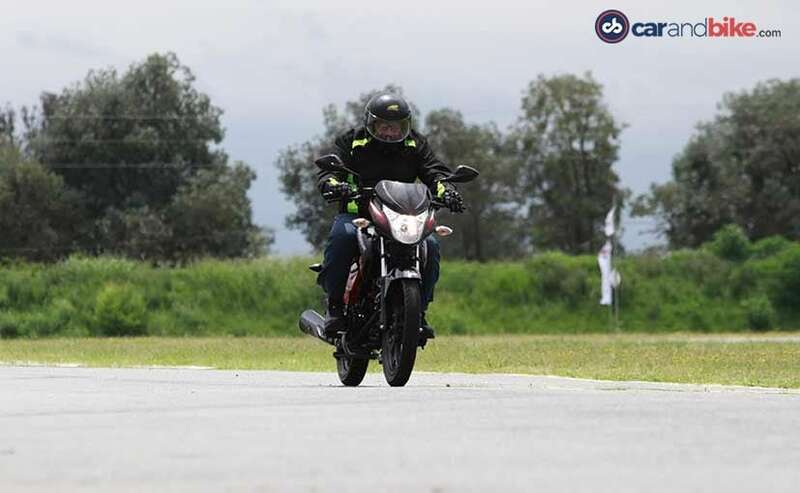 The way the bike drives out of corners with a punchy feel is praiseworthy and herein would lie the reason for its fuel efficiency. The driveability is the clincher thanks to the wide torque spread and the smoothness of its delivery is the icing on the cake. The motor purrs at the slightest twist of the throttle and is most meaty in the 50-80kmph range while it can scream or rather be a bit rorty while being hammered close to nearing the proverbial ton (100kmph). The lack of vibrations is another indication of how good a job the Hero boffins have done and overall this makes for a most refined performer. Just for the record Hero states that the Glamour is good to deliver 60kmpl in carburetted form and 62 kmpl in fuel injected guise and that is par for the course in this class of motorcycle. This is a confident offering from Hero MotoCorp and probably the best answer to its disbelievers for it clearly shows the strides the firm has made in designing and developing its first all non-Honda motorcycle and that is a big thing. We wait for a full-fledged test here on Indian soil but expect an all-new blockbuster designed to enhance the essence of its name!